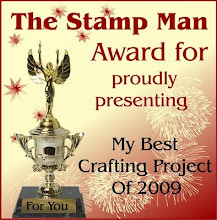 The Stamp Man: New Challenge - Vintage Theme - Part one! Our new fortnightly challenge starts today over on our Challenge blog HERE. The team have made fantastic projects again, and I've certainly enjoyed playing making this embossed frame. I bought 3 frames for £1, so a great bargain, and the photo was 50p (a local original from October 1928). I just loved playing with the Stampendous Fran-tage products last September at the Woodware retailer day, I can see me having much more fun with them in future! The Moonshadow inks all appear brown when first applied due to their walnut ink base. The colour will show when they dry, as will the gorgeous shimmery finish. Add one or more colours, they blend really well, even on wood. Once dry I stamped with the border stamp in the hollyhock stamp set. I then added more of the ink to one of the corners before adding the Stampendous Fran-tage embossing powders. The ink held the powders in place like an embossing ink normally would on card. Using the ink made it more random than applying the ink from an ink pad. I added some of the Shabby Chic colours to the metallics. You need to hold your heat gun far away until the powder starts to melt otherwise it flies everywhere. If you have a heat gun with a low setting or one of the hair dryer type guns then they are the best to use. When using Fran's Fran-tage technique on card you would normally hold the heat gun underneath so that the powder doesn't fly about. This is a slight variation, but still using Fran's encrusted jewel technique. While the powder was hot I added some mesh ribbon then sprinkled and heated more powder on top to make sure it was embedded. Test and make sure that your mesh is heat resistant before you add it! 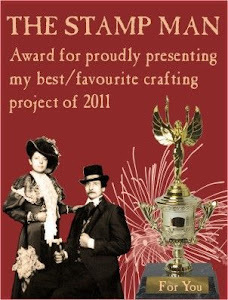 If you are able to attend the show do visit our stand as I will have this frame and other new things to show that I am working on plus other products that I will be demonstrating. 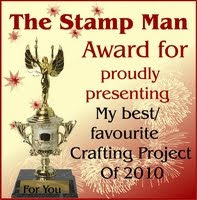 We will have some lovely new stamps and things with us plus lots of bargains for you too! If that's not local, we'll be at the Harrogate show next weekend, maybe we will see you there. Fantastic frame Jill, look forward to seeing it up close on Saturday. This looks just amazing Jill, I just love the textures and colours on this one. Thanks for showing the steps.